Sydney Shop Girl: The Early Summer. 'There Was A Little Girl' - Brooke Shields. The Early Summer. 'There Was A Little Girl' - Brooke Shields. 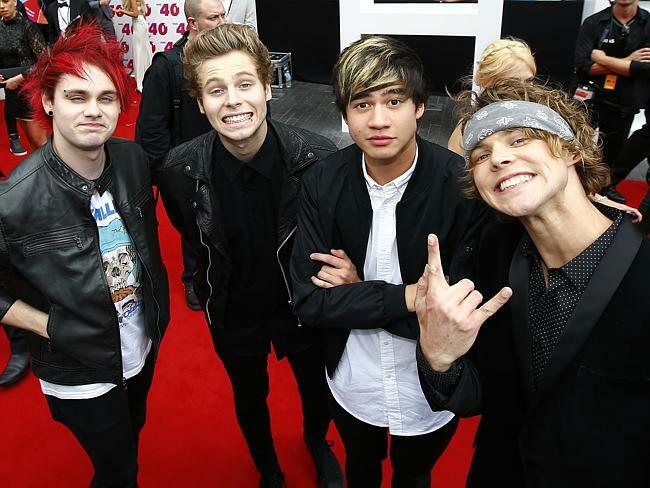 The sum total of my ARIAs 2014 knowledge in the one photo - I know who this band is and I know at least two of their songs, perhaps a little too well. My work here is done. In the five seconds of summer (boom tish for that ARIAs reference and did you notice how old 1 Direction are looking already in comparison?!?) that we've had so far, there is no such thing as a bad time of the day. Dress - Boden, bangles - Forever 21 circa 2005. You can still pop down the road for your morning coffee and feel the sun on your bare legs and arms without returning to find your outfit sticky with the heat and humidity before the real work of the day has even started. It's not yet hot enough that the heat robs of you of your appetite at lunchtime. Allowing you to savour exotic treats brought from overseas by friends. How good are Matcha Green Tea Kit Kats from Japan? They taste more like a cake than a chocolate with their very delicate texture and subtle creaminess. The internet tells me that I can't readily buy them in Australia so until the next time I go to Japan, I'll just have the memories of their taste to keep me going. Or I could try my hand at Not Quite Nigella's Green Tea Nama Chocolate recipe to tide me over. But perhaps the most special time of these early summer days is returning home from work to share the evening with Toddler SSG. The front gate gets shut with a satisfying series of rattles and clunks before that final, reassuring click of the lock. I'm barely out of the car before Toddler SSG shoots out into the garage to wheel his steel dump truck down the driveway where he reverses it this way and that, often tipping whatever I put into the tray onto the pavement. Those oranges are tougher than you might think. There's only one thing that will interrupt that truck on its cross garden journey and that would the sound of the planes above us. 'Airplane' was one of the first words Toddler SSG could say clearly and I didn't realise just how many of them flew above our house until he started greeting each and every one of them during our evenings in the garden. And they seem to fly so low these days, don't they? Either that or they're ten times bigger than they were when I was a child. There are days when I can read the airline name on the side of the planes and identify them by type (A380 or 'not an A380'). All this fascination with planes is making me wonder if I was a bit hasty in swearing not to fly as a family again until Toddler SSG starts school after that traumatic 45 minute total body tantrum of a flight home from Perth a few months ago. Or am I being a bit too hopeful? It's one thing to be free to roam as you watch air planes up above and quite another to be seated against your will for hours at a time. I'll need to sleep on this one. In the meantime, I'm quite content to keep plane watching from ground level and to keep one eye on the sky as we pram it around the suburb. Yes, I really do get about in Birkenstocks with my work clothes on school nights. The fashion forwardness of it! 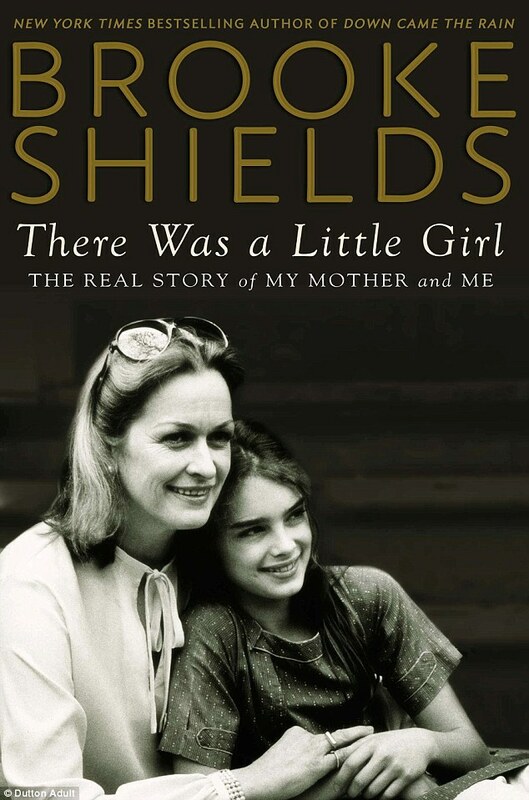 I've just started reading 'There Was A Little Girl', Brooke Shields' new autobiography detailing her relationship with her often misinterpreted mother Teri. I'm only a few chapters in and I'm hooked already. Teri developed dementia after a long history of alcohol abuse. She raised Brooke on her own and was instrumental in developing Brooke's early career from the innocent days of child modelling to the more controversial casting in sexualised, child woman roles. I haven't got to the 'exploitative mumager' chapters yet but so far, Brooke has managed to keep the narrative objective, considered and eloquent. Have you read 'There Was A Little Girl'? The reviews I have read uniformly praised the strong writing and also how the memoir was a therapeutic read for anyone who's working through the fall out of a relationship with a parent struggling with addiction or dementia or both. See the tantrums (and the fear of tantrums) is what worries me about flying with baby T! I've watched many people in my mothers group do it, but I just can't imagine that right now. I much prefer screaming and crying when I can easily separate baby from the general public, and that will only get harder as he gets bigger, hehe! And wouldn't be possible on a plane. I feel for you, I can't imagine how horrible that would have been! 45 minutes, eek! Thanks for the Sydney locations, Anon! those kit kats are great! I also tried the sakura ones that are quite subtle but the packaging is great anyway...They also have mochi flavor kit kats which are very unique and wouldn't translate in Oz I think. Hmmm. Mochi. That would be an interesting Kit Kat. Thanks, Den. You are right. Don't think it's realistic to hold off on flying again for that long. Will have to just bite the bullet when the time comes for our next trip. The green tea kit kats are available in Oz... I've bought them from the Nippoon Shop at Subiaco (Crossways Shopping Centre) and Suzuran in Melbourne.... If Perth has it, Sydney would too! Thanks so much for all the tips!!! !